Congratulations to the winners of 14 consecutive Ohio Star Ball Championships! Whether this was your first or your final OSB, I am so proud of everything we accomplished together this weekend! I hope you all had a fantastic time dancing your hearts out and bonding with your teammates. 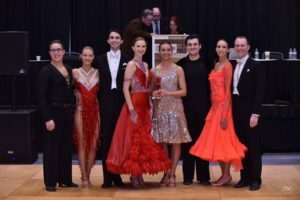 Every couple scored the team points which contributed to this fantastic result, not to mention helping maintain the energy on the dance floor by adding your voices to our incredibly hype cheering section. Thank you to all the leads who danced TBA with girls from other schools, and everyone who spent time working the camera and helping the weekend run smoothly in countless other ways. Also, a special shout out to the team board for all their hard work this semester to make this weekend a success! Practice space: There will be practice space in CCRB 3275 on Tuesday, 9-11pm. Team closet: Please return all team closet items/other items borrowed from your team-mates as soon as possible after Thanksgiving. Please wash your items so they are ready for the next borrower! OSB Gas receipts: Drivers, please submit your gas receipts to Clara asap (cafarley@umich.edu). 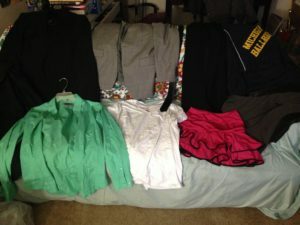 OSB Lost and Found: Here’s everything I picked up from our section of the ballroom, please claim your items! No team events the rest of this week, enjoy the break! 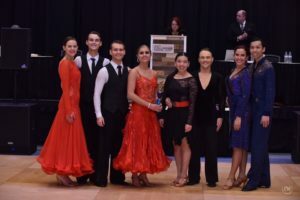 Club is in the League Ballroom this week, check out their website here for more info. This week there’s no lesson running, but there will be open dance 8-10pm.